That's not a special effect, that's not a model, that's not computer-generated trickery. 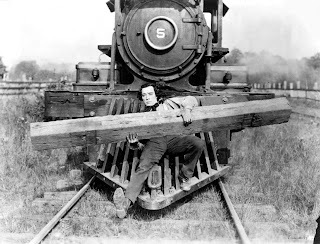 That's Buster Keaton dropping a real locomotive into the middle of a very real river. 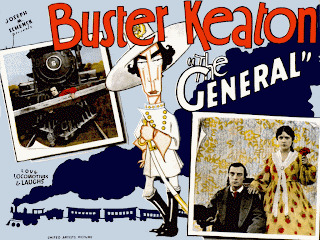 If you're only going to see one movie from what I'm calling the pre- Oscars Silent Era, then Buster Keaton's masterpiece The General is the one to see. Not only is it one of the greatest comedies ever made, The General, which Keaton wrote, directed and starred in, is also an action film that puts most of its modern counterparts to shame. Based on an incident from the American Civil War, the story—about a lovelorn engineer who finds himself battling spies who hijack his train—features a spectacular chase involving two, then three speeding locomotives, daredevil stunts, explosions, burning bridges, comic mishaps, sight gags, split-second timing, all while Keaton woos the girl. This being the real thing (Keaton did all his own stunts and used full-sized trains, one of which wound up sitting in the bottom of a river for fifteen years), it's a wonder nobody got killed filming it. Like in the best silent films, the lack of dialogue is almost irrelevant. The outline of the plot is easy enough to follow: war breaks out and to impress the woman he loves, Keaton tries to volunteer. But as an engineer for the Western & Atlantic Railroad, he is more valuable where he is than in uniform, so the army's recruiters reject him. Of course, the army doesn't bother to explain the situation to Keaton or to anyone else. The girl assumes he is a coward and the rest of this brief, 75-minute movie involves Keaton proving otherwise. 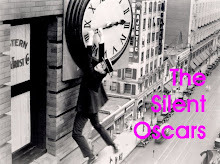 In case you're afraid you don't have the patience to sit through a silent movie, I can reassure you the set-up takes only 14 minutes before the spies to show up, hijack Keaton's train—which, by the way, was based on a real-life Civil War era steam locomotive named "The General"—and kidnap the woman he loves. Even then, Keaton has already treated you to one of the most famous sight gags in movie history. From there, the story unreels at breakneck speed. In addition to the two separate train chases that bookend the movie, there's time for a daring escape, a battle between the two advancing armies, and an endless series of gags. Keaton's famously understated reaction to the chaos around him—he was known as "The Great Stoneface"—only adds to the modern feel of the production. In 1999, the American Film Institute ranked Buster Keaton number 21 on its list of the greatest movie performers of all-time; Entertainment Weekly listed him as the seventh best director; and Roger Ebert has written "Today I look at Keaton's works more often than any other silent films." Watching The General again, it's easy to see why. 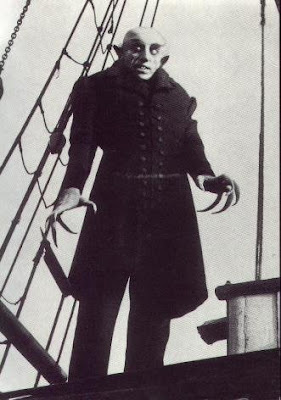 I'm giving it the Katie-Bar-The-Door Award for Best Picture of the Silent Era. Silent movies are in some essential way not what we think of as movies at all. Yes, you sit in the dark and watch flickering images of light projected through celluloid onto a screen, but watching a silent film is much more akin to watching ballet or kabuki theater than anything like what we think of as the movie-going experience. They say movies are a visual medium, but silent movies are a purely visual medium and you'd be surprised how quickly you can tire of interpreting purely visual information—I mean absent a nice-looking redhead in the picture. Norma Desmond in Sunset Boulevard famously said, "We didn't need dialogue, we had faces," but let me tell you, a little bit of "faces" goes a long, long way and I don't know about you, but after ten minutes of a typical silent movie, I find myself yearning for dialogue, any dialogue, even dialogue written by Joe Eszterhas. And he wrote Showgirls. Filmmakers by necessity had to develop ways to convey information without sound (or more specifically, synchronized sound—a line of dialogue or an aural cue tied to a specific image—there were all sorts of random sounds and musical scores in "silent" movies by the mid-1920s, but none that could be reliably synchronized to the picture). Like with everything else, some were better at it than others. Some, such as D.W. Griffith, realized the unique potential of the medium and invented ways to tell stories—with flashbacks, cutting back and forth between two parallel storylines, etc.—that wholly slipped the surly bonds of the stage and continue to influence how movies are made today. There are, as far as I can tell, an ungodly number of silent movies that are as talky and dialogue-laden as a Noel Coward play—except without the benefit of any actual, you know, dialogue. Those are the silent movies that make you want to shoot yourself and if those are the only silent movies you've ever seen, then no wonder you don't want to see any more. Because actors had to convey everything with their faces and bodies, you wind up seeing a lot of what to modern eyes looks like ham acting. Believe me, this exaggerated style was necessary. 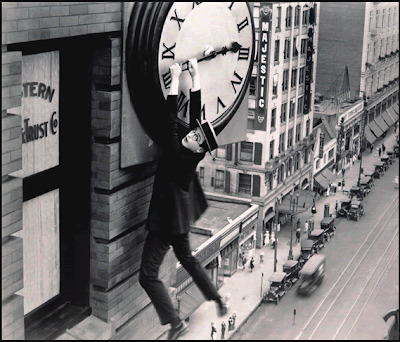 Without it, silent movies would implode into incomprehensible stillness. But because of this style of acting, it's the rare drama that doesn't turn unintentionally hilarious, like watching high school students perform Death Of A Salesman. The medium lent itself best to slapstick comedy, action-adventure, broad melodrama and grand romance, slapstick and action because you don't need a lot of dialogue to elicit an emotional response, melodrama because the story is as broad and obvious as the acting necessary to convey it, and romance because—let's face it—most of what lovers say to each other in throes of passion sounds pretty silly unless you're lucky enough to be participating in the action. So the most watchable silent movies—watchable by me, that is, the only person I can safely vouch for—are comedies starring Charles Chaplin, Buster Keaton or Harold Lloyd, spectacles such as Ben-Hur: A Tale Of The Christ or The Phantom Of The Opera, or anything with Greta Garbo or Louise Brooks who were, to my refined eye, really hot broads. Most everything else tends to play as a bitter pill swallowed in the name of a well-rounded film education and I end up fast-forwarding through to the end. Sue me. That audiences fled silent movies so quickly after the introduction of sound leads me to believe they weren't all that happy about the situation either. They just hadn't had a choice. That said, I stand by my awards for the Silent Era—with certain caveats—as movies and performances I found accessible as a modern viewer, and which you too might find accessible, if you're so inclined. I know what you're thinking. You're thinking "How long, O Lord, can he write about movies I'm never going to see?!?" Well, I figure to get to the Marx Brothers by the end of April. Sooner if we're lucky. You've seen the Marx Brothers, right? And before then, I promise to write about Jean Harlow's thighs, gangster movies and why men are not much more than big animals with clothes on. So it can't be all bad. Maybe this is what the Academy should have done to honor the three decades of movies that preceded the Oscars, instead of what they did do, which was to allow thousands of movies to molder away in the vaults as if they had never existed, until many of them did in fact no longer exist, having turned to liquified film and ashes long ago. With the exception of The General, which I consider to be the best movie made before Charles Chaplin's City Lights in 1931, the Katie-Bar-The-Door career achievement awards are for a body of work accomplished prior to August 1, 1927 (the cutoff date for the first Oscars) rather than for a specific film. I'll explain my choices—next week—along with a brief essay on the problem of watching silent movies and finally a selection of "must-see" films from the Silent Era. Enjoy your weekend. See a movie. I've been keeping a list of my alternate Oscar picks since I read a book in 1992 called Alternate Oscars by Danny Peary. 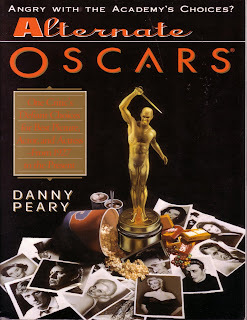 Peary wrote essays about the movies and performers he thought should have won for best picture, actor and actress for every year since the Academy started handing out those awards in 1928. Some of Peary's choices were no doubt as nutty as the ones the Academy settled on, but some were brilliant and all of them were interesting. The book has been out of print for years, but if you can find a copy, I highly recommend it. 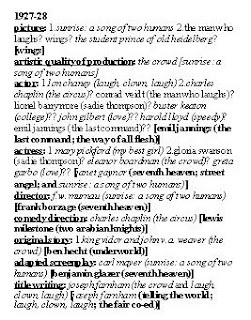 Peary inspired me and, for me, a list of alternate Oscars became, in the beginning anyway, a way to organize my movie-watching habits and point me in directions I otherwise might not have considered. The list got me outside of my comfort zone and both broadened and deepened my enjoyment of movies. But then the list took over and when I say I've been picking alternate Oscars, I don't just mean that, like Peary, I have been picking the awards for picture, actor and actress, I mean I have been picking all of them—costumes, cinematography, the 1936 Oscar for dance direction, you name it. You know how many movies you have to see to have an opinion about every award given for every year since they started handing out Oscars? About four thousand, I think. 4650 if my vote total on the Internet Movie Database is any indicator. And I have this nagging suspicion I need to see a couple of thousand more, you know, just to really make sure. Then I woke up in February, the day after this year's Oscar telecast, and realized that not only did I not know who should have won the award for best achievement in sound editing, I didn't care. And what's more, when I was honest with myself, something I rarely try to be, I had never cared. Or, outside of a couple of movies, even really had an opinion. At this point, a sane person would throw in the towel, admit his addiction and check himself into a clinic. But it turns out there is no cure for an Oscar addiction, only ways to manage it, like trading a heroin habit for a methadone habit. In lieu of a cure, it was time to start a new list, something simpler, something I could manage, something my friends and family could tolerate without shame and disgust. For one thing, I had to divorce myself from the Oscars themselves. The rules change every year, are applied unevenly and lead to inconsistent and confusing results. I mean, why, for example, should Francois Truffaut's Day For Night have won the Oscar for best foreign picture of 1973 but then have been nominated for best director, screenplay and supporting actress of 1974? For another, I had to limit myself to the categories I really care about, and by that, I mean the categories I know I care about every single year—for best picture, best direction, screenplay and the four acting categories. Finally, I had to come up with a new name. I mean, "Oscar"—what is that? Oscar Madison? Oscar Meyer? On a good day, I'd like to think it has something to do with Oscar Robertson, one of the greatest basketball players of all time. But in reality, it's either named for some forgotten secretary's uncle, Bette Davis's ex-husband or the men's room attendant at the Brown Derby. That won't do. But you have to call them something. And since this is my exercise in futility, I'm naming my awards after the only thing I love more than the movies. 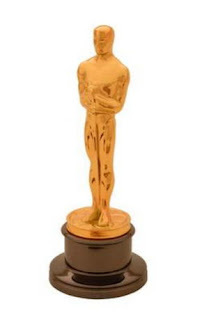 I'm naming my annual film awards after the person who saw nearly all of those four thousand movies with me, enjoyed them, offered opinions and never once suggested I see a doctor. And like Danny Peary, I figure to write a series of essays explaining each of my Katie-Bar-The-Door Award picks. That is, I intend to begin with the films of the silent era, and sometime around the turn of the next century, arrive at my picks for the best movies and performances of the year just past, 2008. Start with your weakest material, drive off any potential audience and build toward complete anonymity, I always say. That's the course I've followed throughout my writing career. No reason to mess with that formula now. So, on to it, the Katie-Bar-The-Door Awards. This is going to take a while. The first Oscars were awarded on May 16, 1929, and right from the start the Academy blew it—and the Academy has pretty much been blowing it ever since. 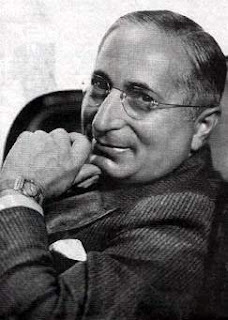 First, for reasons known only to Louis B. Mayer, the MGM studio head who thought up the Academy Awards, the first Oscars were awarded to movies that had premiered in Los Angeles County between August 1, 1927, and July 31, 1928. Why he chose to straddle two calendar years like that I can't imagine but it confused the hell out of voters who initially gave the award for best picture to Buster Keaton's masterpiece, The General, which would have been a truly brilliant pick, one of the few in Academy history, except that The General had come out in early 1927 and wasn't eligible for the award. Then when it looked like independent film maverick and all-around pain-in-the-industry's rump Charlie Chaplin might walk away with an award, the Academy—that is, Mayer meeting in a smoke-filled room with the other heads of the various studios—took Chaplin's name off the ballot and handed him an honorary Oscar instead. They also figured that handing a bunch of awards to the most popular movie of the year, The Jazz Singer, wasn't going to help sell extra tickets, to The Jazz Singer or anything else, so they arbitrarily declared it ineligible and handed its producers an honorary Oscar as well. Further, the Academy's leaders couldn't even figure out what they meant by "best" when it came to awarding the best picture, so they had two best pictures, one called Best Production (Wings), the other called Unique And Artistic Production (Sunrise). Neither of which, apparently, was the popular choice. That would have been The Crowd. But Mayer didn't like The Crowd or its director, King Vidor, so he vetoed that pick even though it was a product of his own studio. Crazy motherhumper, that Louis B. And finally, when even all those machinations were not enough to guarantee results to their liking, the studio bosses said to hell with the voters and split the awards between themselves, ensuring the major studios were well-represented and everyone else take the hindmost. The result was a mess, motivated not by Hollywood's desire to recognize what was good, but to sell tickets, settle scores and congratulate themselves on what a wonderful job they were doing. And except for maybe the Nobel Peace Prize, it's the most successful set of awards ever created, generating more blather and second-guessing, I suspect, that all the other awards combined. And what more, really, do you want from an award, especially one named after Bette Davis's ex-husband—other than maybe fewer dance numbers and shorter acceptance speeches. You've heard the adage that an infinite number of monkeys typing at an infinite number of type- writers for an infinite amount of time will eventually produce Shakespeare's Hamlet. 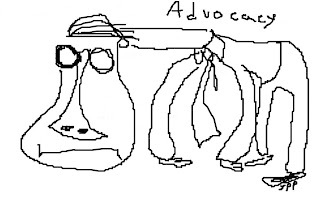 You may have also heard it said that one monkey banging away at one typewriter for twenty minutes a day can produce enough blogs to fill up half the bandwidth on the internet. 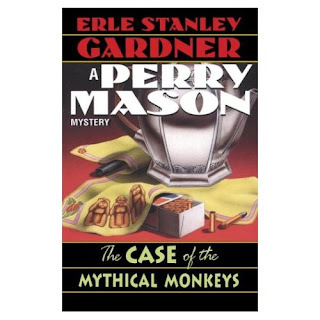 Actually, the term "mythical monkey" comes from an old Perry Mason novel sitting on my bookshelf. Perry Mason is the reason I became a lawyer. Oh, how I hate Perry Mason. 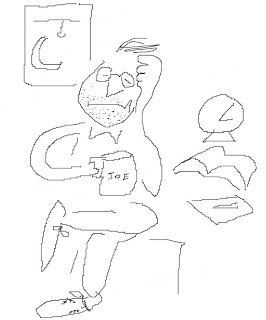 A self-portrait of your faithful blogger grazing in the fields of the law. Unpublished novels is what comes out the other end.